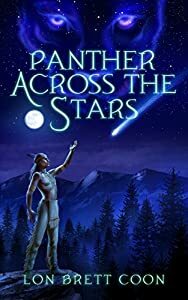 A larger-than-life tale of one man's courage, sacrifice, and unyielding defiance to fight for his peoples' freedom against those that would take it, and in this great struggle he finds friendship with three alien beings fallen to Earth that stand with him. He is Panther Across the Sky and his world is fading. He takes all the hurt and pain a lifetime gives him and stares into his soul to face the greatest master he will ever know. Just a man among a dying people, he inspires his kin beyond all limit of mind and body in their outstretched and desperate grasp for freedom against overwhelming odds and the mighty nation arisen to the east in the early 1800s - America. And along the way, he forges a bond with three alien beings fallen to Earth from a distant star, the Jhagir. Together they must find the courage to rise up against the swirling dark sea of blue jackets, muskets, and cannon fire that comes for them. It will take all their strength and spirit, and cost them more than they know, to break back the angry waves of a young nation that would devour a people and wash them away forever. And just maybe, Panther Across the Sky and the Jhagir can give rise to a peoples' real hope for today . . . and what is to come. Bronze Medal, Epic Fantasy, Readers' Favorite Book Awards 2018. Finalist, Golden Book Awards 2018. Official Selection, E-Book Fantasy, New Apple Book Awards 2018. Second Place, Epic Fantasy, Virtual FantasyCon 2017. Dasha is a gift from the gods. Only she's not very gifted. Or at least so it seems to her. Eighteen years ago, Dasha's mother made a bargain with the gods. She would bear a gods-touched child, one who would stand on the threshold between the worlds, human and divine. Dasha is that child, now almost ready to become a woman, and one day take her mother's place as Empress of all of Zem'. Except that Dasha is shy, lonely, and one of the least magically inclined girls in the Known World. Instead she has fits and uncontrollable visions. 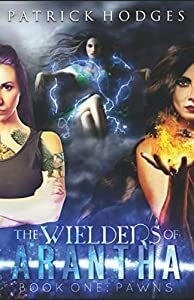 When she sets off with her father on her first journey away from her home kremlin, she hopes she will finally find someone who can help her come into her powers. But those whom she finds only want to use her instead. What will it take for her to unlock the abilities hidden within her, and take up her proper place in the world? The sequel to the award-winning novel The Midnight Land, The Breathing Sea returns to the land of Zem', where animals speak, trees walk, and women rule. Filled with allusions to Russian history, literature, and fairy tales, this coming-of-age tale straddles the line between high fantasy and literary fiction. With discussion questions at the end. Larin's got big problems. His tendency to shout nonsense words at random has made him a pariah in the gang-infested Wormpile district, where he's protected only by his drug-addicted but deadly uncle. Confined to his uncle's 4-block zone, where no gang member dares to tread, his only friends are an outcast thief and an alcoholic priestess. As if that weren't enough, now priests of the Six-Legged gods have begun creeping through the Wormpile's alleyways, masking a terrifying agenda with cries for social justice. 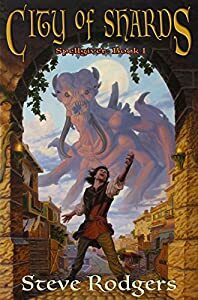 When Larin finds his outbursts mark him as servant to an ancient malevolence, a creature whose name has scared children at bedtime for three thousand years, he knows he's stepped right into the chamberpot. Because that malevolence will force him to confront the Six-Legged Gods head-on, backed only by his uncommonly lethal uncle, a perpetually-drunk priestess, and a noble wizardress with zero patience for commoners. And while he doesn't *have* to follow the dark creature ruling his dreams, refusing will only plunge his empire into a greater darkness--an abyss so deep, it will turn mankind's soul to ash. Future of the human race hangs in the balance. A powerful alien race called the Jegg invades Earth, wiping out half of the Terran Confederation. In a hidden base under the Sahara Desert, a team of scientists works to mount a resistance against the invaders. Fitting an Earth ship with Jegg folding-space technology, they plan to travel to the other side of the galaxy to find a mysterious energy source that could help them defeat the Jegg. But none of them are ready for what they find on the distant planet, as they enter a race against time and impossible odds. ★★★★★ - "Powerful, fast-paced, and original. Well-crafted with a gripping plot and memorable characters, this novel will have fans of sci-fi enthralled." ★★★★★ - "Perfect blend of science and fantastical elements... A magnificent start to a new series." 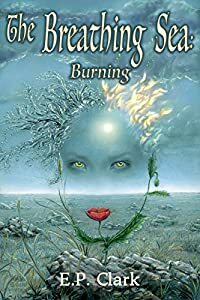 Winner of the IAN "Outstanding Fantasy" award for 2018! 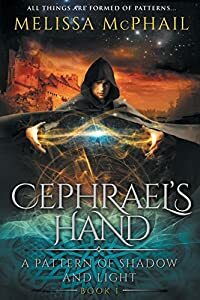 Winner of the Reader's Favorite 2018 Silver Medal for Best Epic Fantasy! Her master calls her shaman. Her people call her witch. Gods, spirits, and demons won't stop calling. In this first book of B. Muze's epic primitive fantasy, Yaku Shaman believes he has at last found his apprentice--a girl who talks with ghosts, spirits and gods with equal ease. Their people refuse to accept her, however. The shaman forces Jovai to sacrifice every hope of a normal life until the people, unaware of the dangers threatening them, revolt. 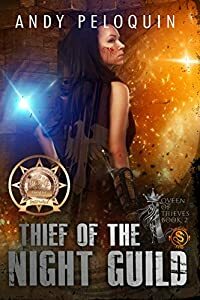 Barely escaping both her people and their enemies, rejected by the spirits, having failed her master, Jovai must find her way in a war-torn world full of deadly threats, both human and supernatural. "One senses just how much B. Muze, author of The Shaman's Apprentice, enjoyed writing this wonderful story. 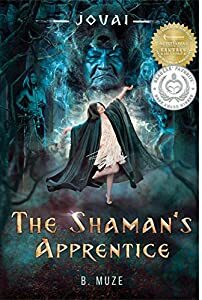 We enjoy The Shaman's Apprentice all that much more, not just for its intricate plot line and the emotions stirred in us by the unforgettable characters, but also for how beautifully this story is written...it's impossible to finish The Shaman's Apprentice and not continue thinking about it. This story is so much more than a brilliantly written fantasy!" "Hauntingly lyrical and compelling. A fascinating blend of earthy and other worldly. This story will break your heart and make your spirits soar. Couldn't put it down. Still awestruck long after I finished reading it. More. Must have more!" "Fear and mystery intertwine in debut author Muze's first installment of a primitive fantasy series...The storytelling here evokes classic folktales and mythology, but the setting feels unique and new. Not only that, the characters come across as genuinely human despite their many curious qualities...Jovai in particular is a resourceful, likable protagonist...engrossing fantasy. Mythic forces and novel worldbuilding create a kinetic adventure in this promising series debut." 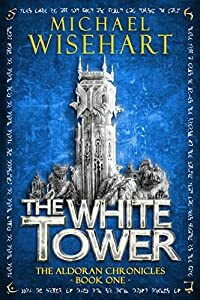 "simply amazing and perfectly executed, beautifully written and profoundly emotional, spiritual and magical, even existential--surprisingly so...There was a darker element that was powerful, and spoke to me on a deeper level than just a run-of-the-mill fantasy...The storyline was wonderful and even though it has familiar themes the story as a whole felt like a truly original experience and I never knew what was going to happen next." "Muze succeeds in many different ways with this novel...intensive and fascinating...Jovai's world is complex, layered with traditions, history, and magics...a narrative that pulls the reader in with every page they read...The story feels simultaneously timeless and refreshing." "I was in no way prepared for how totally addicting this novel would be...the multi plots that break the mold and far surpass anything I remotely expected...The way B. Muze writes is captivating from the beginning and you just want to keep reading and reading and not stop...I was disappointed when it was over. I wanted more!!" "Rarely do I get so sucked into books like this where it feels like every page is something that affects me on some level...It was such a raw and brutal, heart-tugging experience...this one got under my skin in a profound, memorable way...You can tell that B Muze wrote this from her heart and her passion and respect shines through these pages." 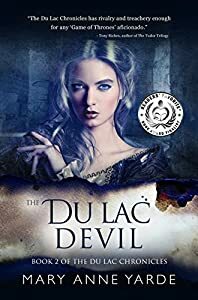 "a well-crafted and ORIGINAL plot ... hard to categorize, or even compare it to other books because I honestly can't think of others like it ... I really got into it I couldn't put it down!" A deformed genius plots vengeance while struggling to survive. A wastrel prince comes of age, finding a power he never imagined. Two worlds will collide. Only one can be king. The first installment of an epic, low- fantasy trilogy. 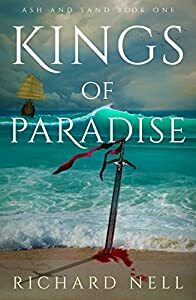 Kings of Paradise is a dark, bloody, coming-of-age story shaped by culture, politics, and magic. The Wizard Wars have taken their toll...and magic is banished. Those caught wielding it are taken to the White Tower. They are never heard from again. Winner - National IE Award for Fantasy. Winner - Readers Favorite for Epic Fantasy. Winner - Beverly Hill Award for Epic Fantasy. When the world balances on the edge of a blade, even the most unlikely of heroes can make a difference...If they're willing to try. Readers' Favorite Finalist 2017, IAN Book of the Year Awards Finalist 2017, Golden Quill Award Winner 2017, Chill With A Book Readers' Award 2017.